Christmas is possibly one of the most universally loved and celebrated holidays around the world. The holiday does however, have a commercial twist attached to it which has become even more evident the past two decades. 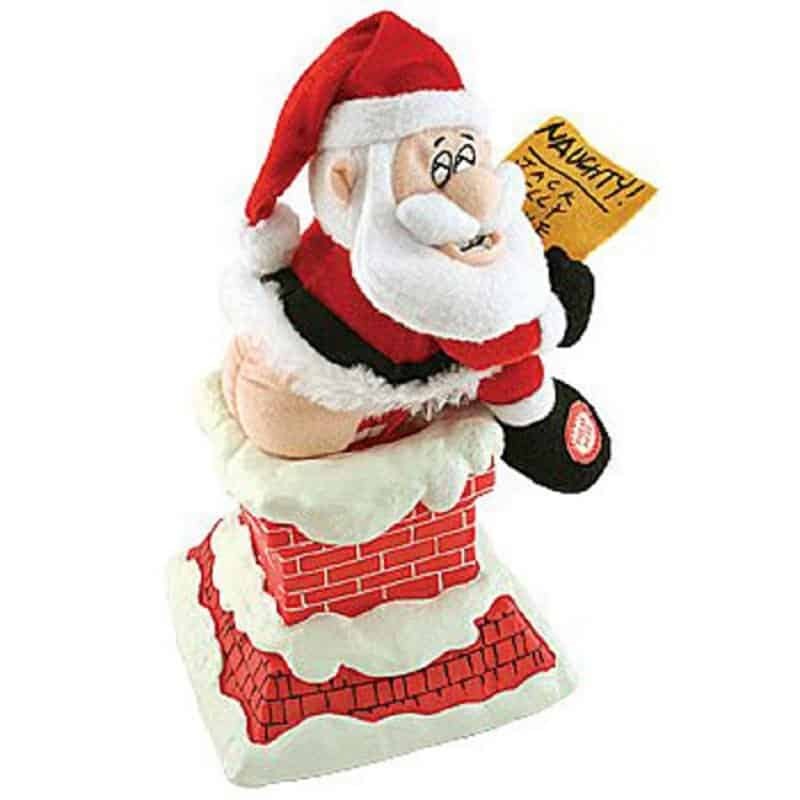 There are tons of products that are specially made only for the Christmas season as well, and despite them being seasonal gifts, they still make a lot of sales. All these Christmas-themed products are not entirely family friendly or even appropriate. 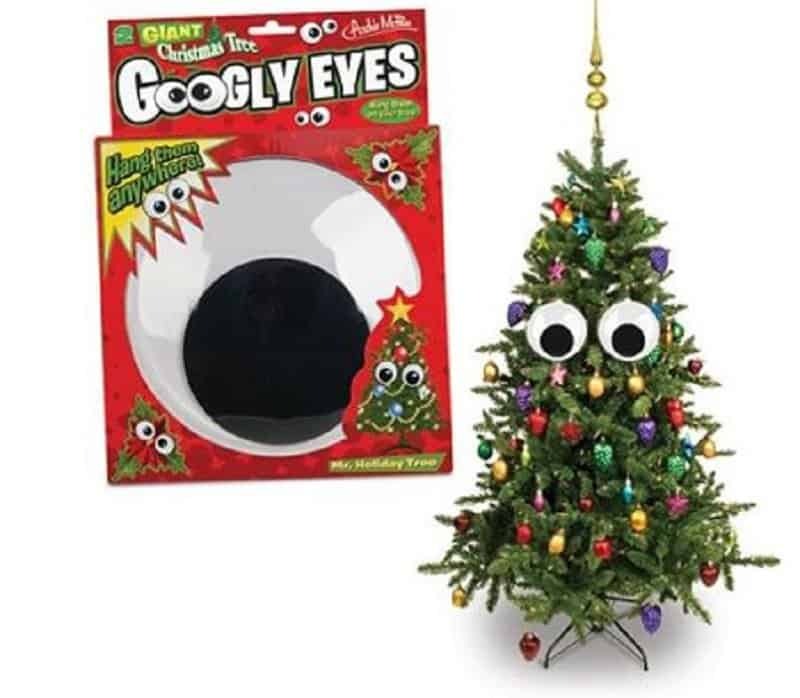 Here is a list of 10 totally wacky and sometimes inappropriate Christmas items. 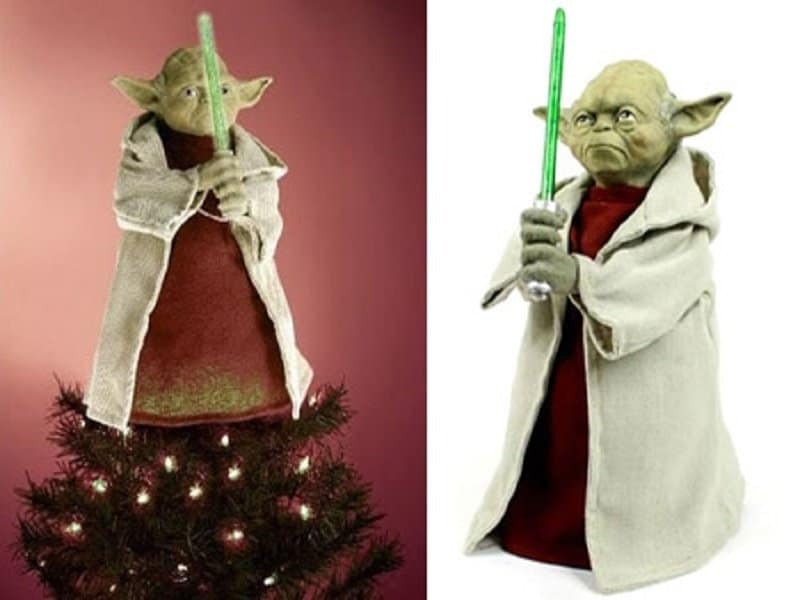 Loving a sci-fi series is one things, but putting Yoda on top of a Christmas tree is going where no tradition has gone before. Want to give your Christmas tree some unnecessary depth and character? You could consider putting some googly eyes on it. 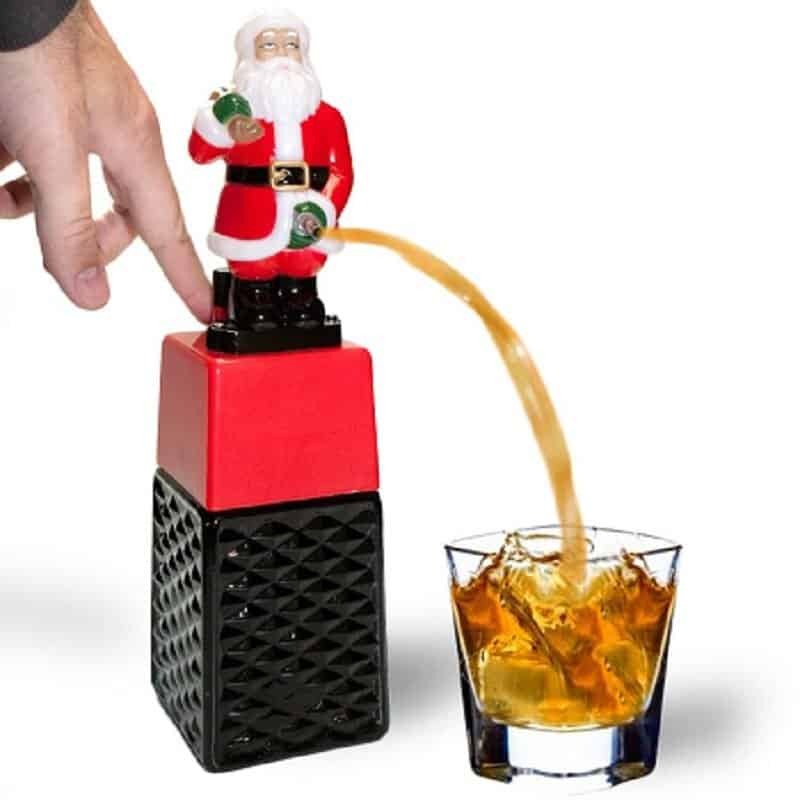 Making Santa into a drink dispenser is one thing, but making him pee into your drink is sheer crass. This totally shady gift actually sells for just under 15 dollars and even has five phrases built in it, such as “You are on the wrong list, Ha Ha”. 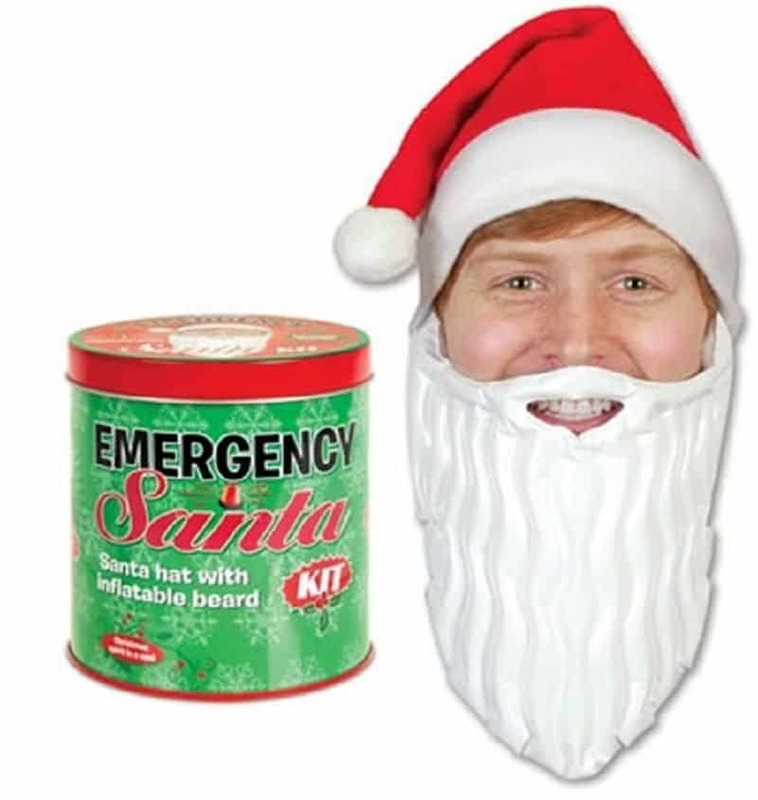 This ‘Emergency Santa’ kit allows anyone to dress their face as Santa anytime they want. Any dinner in a can is terrible. 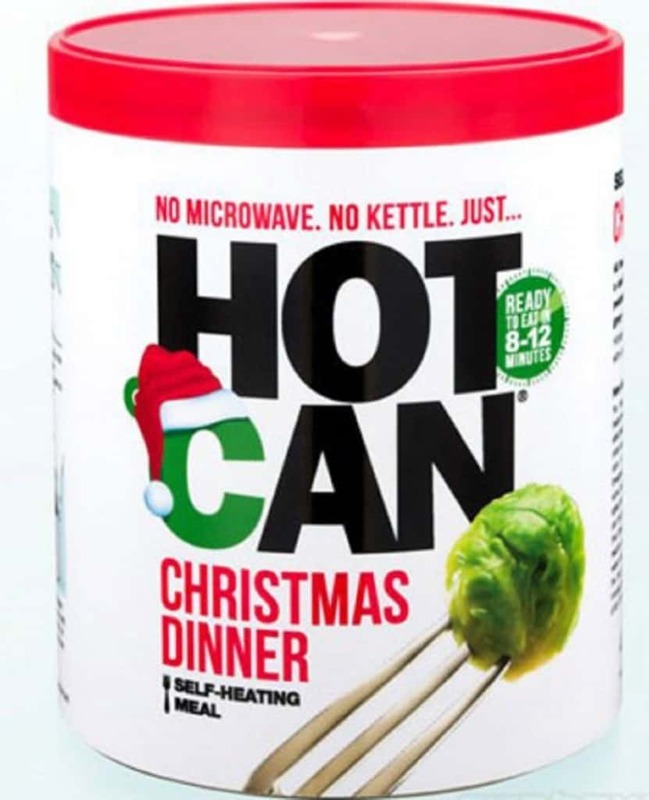 Christmas dinner in a can is just plain shameful. 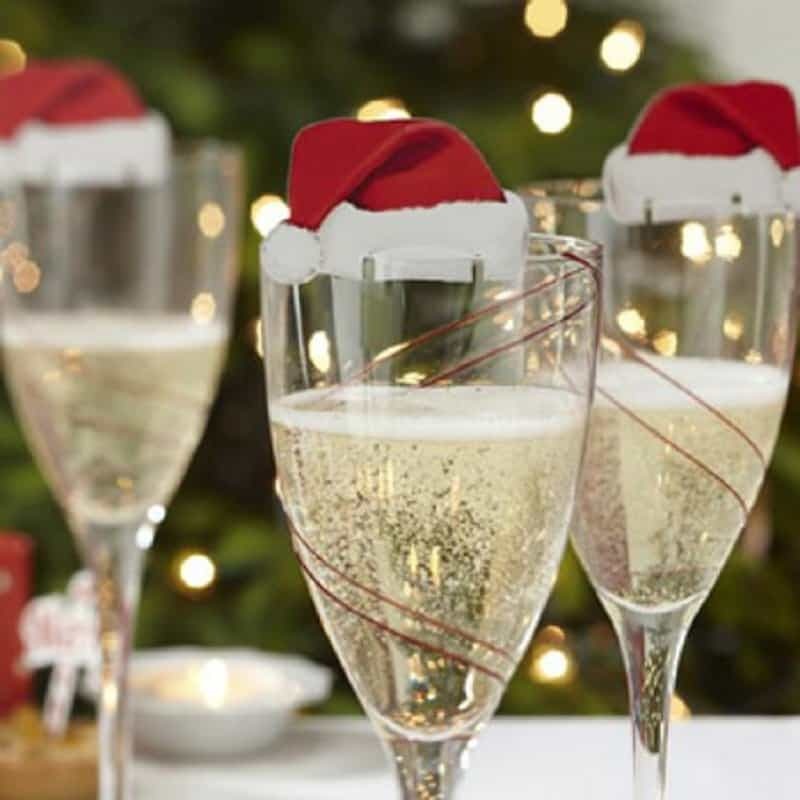 Are you throwing a Christmas party and you want your guests to reminded its Christmas every time they have a drink? 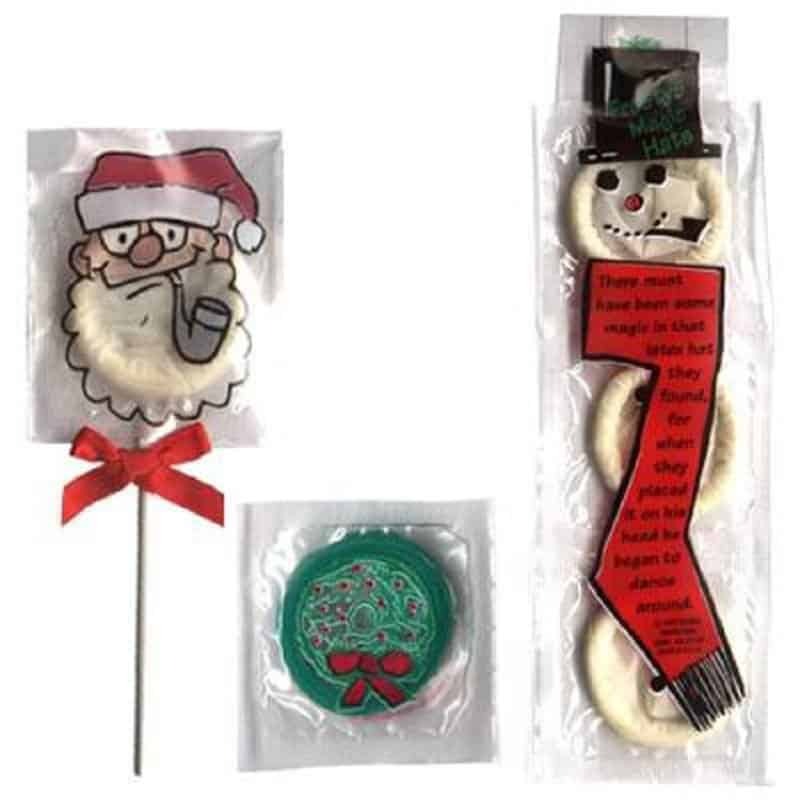 You can buy these Santa cap decorations for your glasses and really drive the point home. 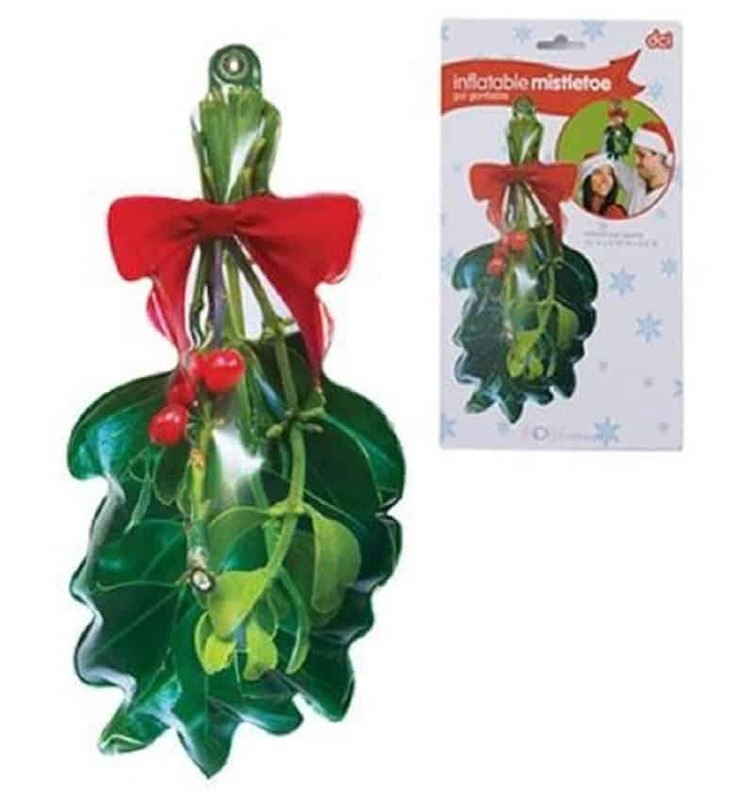 This inflatable mistletoe set will allow you to spring the old mistletoe kiss trick on anyone at any time. You can get them when they least expect it. You know its Christmas when you receive a pillow as a gift from someone and the pillow looks like Santa’s bare bum. Its never a very festive thing if your idea of celebrating Christmas involves buying a condom with Santa’s face on it.